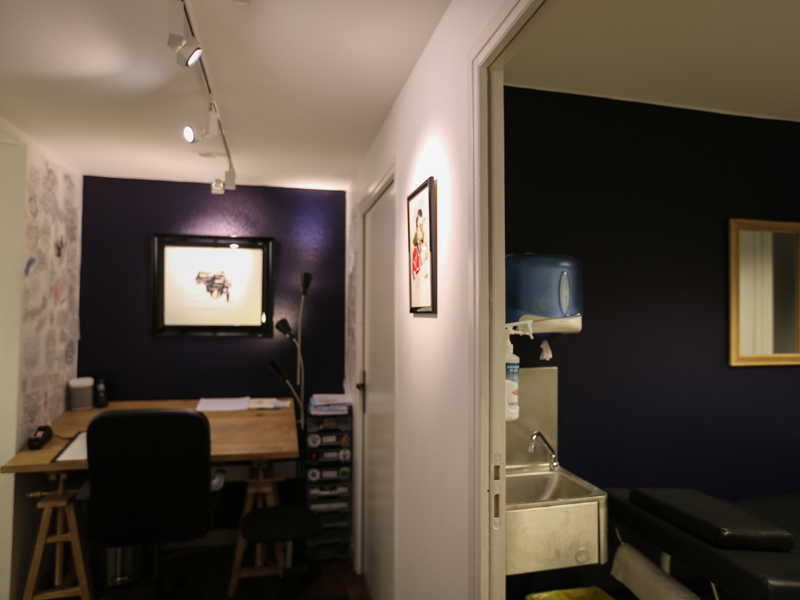 Situated at the heart of the marina of Deauville, this tattoo and piercing salon will help you on any kind of projects. In an idyllic setting, situated less than 50 m away from the sea, at the Deauville port, you’ll find an original and friendly place combining rigueur and cleanness, and complying with the applicable health and hygiene standards. 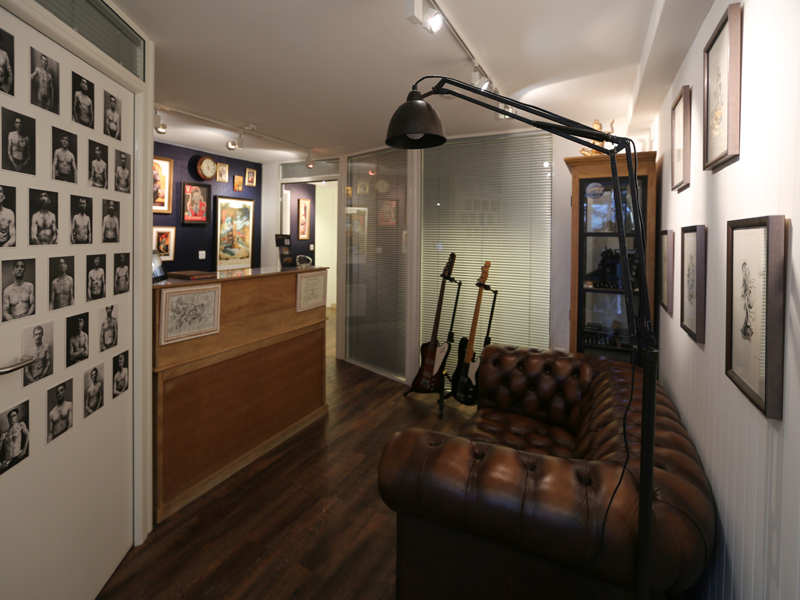 You’ll meet here Jerry, Mike, Romain Galakt'ink and Fanny Solex, tattoo artists, as well as “guests” from all around the world. You’ll also find there Roman, body piercing artist and head manager. Feel free to contact us by phone, e-mail or Facebook for any further information.